For the controversy about who invented radio, see Invention of radio. For the programming of early radio stations, see Old-time radio. The early history of radio is the history of technology that produces and uses radio instruments that use radio waves. Within the timeline of radio, many people contributed theory and inventions in what became radio. Radio development began as "wireless telegraphy". Later radio history increasingly involves matters of broadcasting. 4.4 Licensing of radio stations in the U.S. The idea of wireless communication predates the discovery of "radio" with experiments in "wireless telegraphy" via inductive and capacitive induction and transmission through the ground, water, and even train tracks from the 1830s on. James Clerk Maxwell showed in theoretical and mathematical form in 1864 that electromagnetic waves could propagate through free space. It is likely that the first intentional transmission of a signal by means of electromagnetic waves was performed in an experiment by David Edward Hughes around 1880, although this was considered to be induction at the time. In 1888 Heinrich Rudolf Hertz was able to conclusively prove transmitted airborne electromagnetic waves in an experiment confirming Maxwell's theory of electromagnetism. After the discovery of these "Hertzian waves" (it would take almost 20 years for the term "radio" to be universally adopted for this type of electromagnetic radiation) many scientists and inventors experimented with wireless transmission, some trying to develop a system of communication, some intentionally using these new Hertzian waves, some not. Maxwell's theory showing that light and Hertzian electromagnetic waves were the same phenomenon at different wavelengths led "Maxwellian" scientist such as John Perry, Frederick Thomas Trouton and Alexander Trotter to assume they would be analogous to optical signaling and the Serbian American engineer Nikola Tesla to consider them relatively useless for communication since "light" could not transmit further than line of sight. In 1892 the physicist William Crookes wrote on the possibilities of wireless telegraphy based on Hertzian waves and in 1893 Tesla proposed a system for transmitting intelligence and wireless power using the earth as the medium. Others, such as Amos Dolbear, Sir Oliver Lodge, Reginald Fessenden, and Alexander Popov were involved in the development of components and theory involved with the transmission and reception of airborne electromagnetic waves for their own theoretical work or as a potential means of communication. Over several years starting in 1894 the Italian inventor Guglielmo Marconi built the first complete, commercially successful wireless telegraphy system based on airborne Hertzian waves (radio transmission). Marconi demonstrated the application of radio in military and marine communications and started a company for the development and propagation of radio communication services and equipment. The meaning and usage of the word "radio" has developed in parallel with developments within the field of communications and can be seen to have three distinct phases: electromagnetic waves and experimentation; wireless communication and technical development; and radio broadcasting and commercialization. In an 1864 presentation, published in 1865, James Clerk Maxwell proposed theories of electromagnetism, with mathematical proofs, that showed that light and predicted that radio and x-rays were all types of electromagnetic waves propagating through free space. In 1886–88 Heinrich Rudolf Hertz conducted a series of experiments that proved the existence of Maxwell's electromagnetic waves, using a frequency in what would later be called the radio spectrum. Many individuals—inventors, engineers, developers and businessmen—constructed systems based on their own understanding of these and other phenomena, some predating Maxwell and Hertz's discoveries. Thus "wireless telegraphy" and radio wave-based systems can be attributed to multiple "inventors". Development from a laboratory demonstration to a commercial entity spanned several decades and required the efforts of many practitioners. In 1878, David E. Hughes noticed that sparks could be heard in a telephone receiver when experimenting with his carbon microphone. He developed this carbon-based detector further and eventually could detect signals over a few hundred yards. He demonstrated his discovery to the Royal Society in 1880, but was told it was merely induction, and therefore abandoned further research. Thomas Edison came across the electromagnetic phenomenon while experimenting with a telegraph at Menlo Park. He noted an unexplained transmission effect while experimenting with a telegraph. He referred to this as etheric force in an announcement on November 28, 1875. Elihu Thomson published his findings on Edison's new "force", again attributing it to induction, an explanation that Edison accepted. Edison would go on the next year to take out U.S. Patent 465,971 on a system of electrical wireless communication between ships based on electrostatic coupling using the water and elevated terminals. Although this was not a radio system, Edison would sell his patent rights to his friend Guglielmo Marconi at the Marconi Company in 1903, rather than another interested party who might end up working against Marconi's interests. Between 1886 and 1888 Heinrich Rudolf Hertz published the results of his experiments wherein he was able to transmit electromagnetic waves (radio waves) through the air, proving Maxwell's electromagnetic theory. Thus, given Hertz comprehensive discoveries, radio waves were referred to as "Hertzian waves". Between 1890 and 1892 physicists such as John Perry, Frederick Thomas Trouton and William Crookes proposed electromagnetic or Hertzian waves as a navigation aid or means of communication, with Crookes writing on the possibilities of wireless telegraphy based on Hertzian waves in 1892. After learning of Hertz' demonstrations of wireless transmission, inventor Nikola Tesla began developing his own systems based on Hertz' and Maxwell's ideas, primarily working toward a means of wireless lighting, and power distribution. Tesla, concluding that Hertz had not demonstrated airborne electromagnetic waves (radio transmission), went on to develop a system based on what he thought was the primary conductor, the earth. In 1893 demonstrations of his ideas, in St. Louis, Missouri and at the Franklin Institute in Philadelphia, Tesla proposed this wireless power technology could also incorporate a system for the telecommunication of information. In a lecture on the work of Hertz, shortly after his death, Professors Oliver Lodge and Alexander Muirhead demonstrated wireless signaling using Hertzian (radio) waves in the lecture theater of the Oxford University Museum of Natural History on August 14, 1894. During the demonstration radio waves were sent from the neighboring Clarendon Laboratory building, and received by apparatus in the lecture theater. Building on the work of Lodge, the Bengali Indian physicist Jagadish Chandra Bose ignited gunpowder and rang a bell at a distance, using millimeter-range-wavelength microwaves, in a November 1894 public demonstration at the Town Hall of Kolkata, India. Bose wrote in a Bengali essay, "Adrisya Alok" ("Invisible Light"), "The invisible light can easily pass through brick walls, buildings etc. Therefore, messages can be transmitted by means of it without the mediation of wires." Bose's first scientific paper, "On polarisation of electric rays by double-refracting crystals" was communicated to the Asiatic Society of Bengal in May 1895. Following that, Bose produced a series of articles in English, one after another. His second paper was communicated to the Royal Society of London by Lord Rayleigh in October 1895. [clarification needed] In December 1895, the London journal The Electrician (Vol. 36) published Bose's paper, "On a new electro-polariscope". At that time, the word 'coherer', coined by Lodge, was used in the English-speaking world to mean Hertzian wave receivers or detectors. The Electrician (December 1895) readily commented on Bose's coherer. [clarification needed] The Englishman (18 January 1896) quoted from The Electrician and commented as follows: "Should Professor Bose succeed in perfecting and patenting his ‘Coherer’, we may in time see the whole system of coast lighting throughout the navigable world revolutionised by an Indian Bengali scientist working single handed[ly] in our Presidency College Laboratory." Bose planned to "perfect his coherer", but never thought of patenting it. In 1895, conducting experiments along the lines of Hertz's research, Alexander Stepanovich Popov built his first radio receiver, which contained a coherer. [clarification needed] Popover further refined his invention as a lightning detector and presented to the Russian Physical and Chemical Society on May 7, 1895. A depiction of the lightning detector was printed in the Journal of the Russian Physical and Chemical Society the same year (publication of the minutes 15/201 of this session – December issue of the journal RPCS). An earlier description of the device was given by Dmitry Aleksandrovich Lachinov in July 1895 in the second edition of his course "Fundamentals of Meteorology and Climatology", which was the first such course in Russia. Popov's receiver was created on the improved basis of Lodge's receiver, and originally intended for reproduction of its experiments. In 1894 the young Italian inventor Guglielmo Marconi began working on the idea of building a commercial wireless telegraphy system based on the use of Hertzian waves (radio waves), a line of inquiry that he noted other inventors did not seem to be pursuing. Marconi read through the literature and used the ideas of others who were experimenting with radio waves but did a great deal to develop devices such as portable transmitters and receiver systems that could work over long distances, turning what was essentially a laboratory experiment into a useful communication system. By August 1895 Marconi was field testing his system but even with improvements he was only able to transmit signals up to one-half mile, a distance Oliver Lodge had predicted in 1894 as the maximum transmission distance for radio waves. Marconi raised the height of his antenna and hit upon the idea of grounding his transmitter and receiver. With these improvements the system was capable of transmitting signals up to 2 miles (3.2 km) and over hills. Marconi's experimental apparatus proved to be the first engineering-complete, commercially successful radio transmission system. Marconi's apparatus is also credited with saving the 700 people who survived the tragic Titanic disaster. In 1896, Marconi was awarded British patent 12039, Improvements in transmitting electrical impulses and signals and in apparatus there-for, the first patent ever issued for a Hertzian wave (radio wave) base wireless telegraphic system. In 1897, he established a radio station on the Isle of Wight, England. Marconi opened his "wireless" factory in the former silk-works at Hall Street, Chelmsford, England in 1898, employing around 60 people. Shortly after the 1900s, Marconi held the patent rights for radio. Marconi would go on to win the Nobel Prize in Physics in 1909 and be more successful than any other inventor in his ability to commercialize radio and its associated equipment into a global business. In the US some of his subsequent patented refinements (but not his original radio patent) would be overturned in a 1935 court case (upheld by the US Supreme Court in 1943). In 1900, Brazilian priest Roberto Landell de Moura transmitted the human voice wirelessly. According to the newspaper Jornal do Comercio (June 10, 1900), he conducted his first public experiment on June 3, 1900, in front of journalists and the General Consul of Great Britain, C.P. Lupton, in São Paulo, Brazil, for a distance of approximately 5.0 miles (8 km). The points of transmission and reception were Alto de Santana and Paulista Avenue. One year after that experiment, de Moura received his first patent from the Brazilian government. It was described as "equipment for the purpose of phonetic transmissions through space, land and water elements at a distance with or without the use of wires." Four months later, knowing that his invention had real value, he left Brazil for the United States with the intent of patenting the machine at the U.S. Patent Office in Washington, D.C.
"The Wireless Telephone", U.S. Patent Office in Washington, D.C. The next advancement was the vacuum tube detector, invented by Westinghouse engineers. On Christmas Eve 1906, Reginald Fessenden used a synchronous rotary-spark transmitter for the first radio program broadcast, from Ocean Bluff-Brant Rock, Massachusetts. Ships at sea heard a broadcast that included Fessenden playing O Holy Night on the violin and reading a passage from the Bible. This was, for all intents and purposes, the first transmission of what is now known as amplitude modulation or AM radio. In June 1912 Marconi opened the world's first purpose-built radio factory at New Street Works in Chelmsford, England. The first radio news program was broadcast August 31, 1920 by station 8MK in Detroit, Michigan, which survives today as all-news format station WWJ under ownership of the CBS network. The first college radio station began broadcasting on October 14, 1920 from Union College, Schenectady, New York under the personal call letters of Wendell King, an African-American student at the school. That month 2ADD (renamed WRUC in 1947), aired what is believed to be the first public entertainment broadcast in the United States, a series of Thursday night concerts initially heard within a 100-mile (160 km) radius and later for a 1,000-mile (1,600 km) radius. In November 1920, it aired the first broadcast of a sporting event. At 9 pm on August 27, 1920, Sociedad Radio Argentina aired a live performance of Richard Wagner's opera Parsifal from the Coliseo Theater in downtown Buenos Aires. Only about twenty homes in the city had receivers to tune in this radio program. Meanwhile, regular entertainment broadcasts commenced in 1922 from the Marconi Research Centre at Writtle, England. Sports broadcasting began at this time as well, including the college football on radio broadcast of a 1921 West Virginia vs. Pittsburgh football game. One of the first developments in the early 20th century was that aircraft used commercial AM radio stations for navigation. This continued until the early 1960s when VOR systems became widespread. In the early 1930s, single sideband and frequency modulation were invented by amateur radio operators. By the end of the decade, they were established commercial modes. Radio was used to transmit pictures visible as television as early as the 1920s. Commercial television transmissions started in North America and Europe in the 1940s. In 1947 AT&T commercialized the Mobile Telephone Service. From its start in St. Louis in 1946, AT&T then introduced Mobile Telephone Service to one hundred towns and highway corridors by 1948. Mobile Telephone Service was a rarity with only 5,000 customers placing about 30,000 calls each week. Because only three radio channels were available, only three customers in any given city could make mobile telephone calls at one time. Mobile Telephone Service was expensive, costing US$15 per month, plus $0.30–0.40 per local call, equivalent to (in 2012 US dollars) about $176 per month and $3.50–4.75 per call. The Advanced Mobile Phone System analog mobile cell phone system, developed by Bell Labs, was introduced in the Americas in 1978, gave much more capacity. It was the primary analog mobile phone system in North America (and other locales) through the 1980s and into the 2000s. The Regency TR-1, which used Texas Instruments' NPN transistors, was the world's first commercially produced transistor radio. In 1954, the Regency company introduced a pocket transistor radio, the TR-1, powered by a "standard 22.5 V Battery." In 1955, the newly formed Sony company introduced its first transistorized radio. It was small enough to fit in a vest pocket, powered by a small battery. It was durable, because it had no vacuum tubes to burn out. Over the next 20 years, transistors replaced tubes almost completely except for high-power transmitters. By 1963, color television was being broadcast commercially (though not all broadcasts or programs were in color), and the first (radio) communication satellite, Telstar, was launched. In the late 1960s, the U.S. long-distance telephone network began to convert to a digital network, employing digital radios for many of its links. In the 1970s, LORAN became the premier radio navigation system. Soon, the U.S. Navy experimented with satellite navigation, culminating in the launch of the Global Positioning System (GPS) constellation in 1987. In the early 1990s, amateur radio experimenters began to use personal computers with audio cards to process radio signals. In 1994, the U.S. Army and DARPA launched an aggressive, successful project to construct a software-defined radio that can be programmed to be virtually any radio by changing its software program. Digital transmissions began to be applied to broadcasting in the late 1990s. Around the start of the 20th century, the Slaby-Arco wireless system was developed by Adolf Slaby and Georg von Arco. In 1900, Reginald Fessenden made a weak transmission of voice over the airwaves. In 1901, Marconi conducted the first successful transatlantic experimental radio communications. In 1904, The U.S. Patent Office reversed its decision, awarding Marconi a patent for the invention of radio, possibly influenced by Marconi's financial backers in the States, who included Thomas Edison and Andrew Carnegie. This also allowed the U.S. government (among others) to avoid having to pay the royalties that were being claimed by Tesla for use of his patents. For more information see Marconi's radio work. In 1907, Marconi established the first commercial transatlantic radio communications service, between Clifden, Ireland and Glace Bay, Newfoundland. Julio Cervera Baviera developed radio in Spain around 1902. Cervera Baviera obtained patents in England, Germany, Belgium, and Spain. 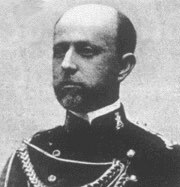 In May–June 1899, Cervera had, with the blessing of the Spanish Army, visited Marconi's radiotelegraphic installations on the English Channel, and worked to develop his own system. He began collaborating with Marconi on resolving the problem of a wireless communication system, obtaining some patents by the end of 1899. Cervera, who had worked with Marconi and his assistant George Kemp in 1899, resolved the difficulties of wireless telegraph and obtained his first patents prior to the end of that year. On March 22, 1902, Cervera founded the Spanish Wireless Telegraph and Telephone Corporation and brought to his corporation the patents he had obtained in Spain, Belgium, Germany and England. He established the second and third regular radiotelegraph service in the history of the world in 1901 and 1902 by maintaining regular transmissions between Tarifa and Ceuta (across the Straits of Gibraltar) for three consecutive months, and between Javea (Cabo de la Nao) and Ibiza (Cabo Pelado). This is after Marconi established the radiotelegraphic service between the Isle of Wight and Bournemouth in 1898. In 1906, Domenico Mazzotto wrote: "In Spain the Minister of War has applied the system perfected by the commander of military engineering, Julio Cervera Baviera (English patent No. 20084 (1899))." Cervera thus achieved some success in this field, but his radiotelegraphic activities ceased suddenly, the reasons for which are unclear to this day. Using various patents, the British Marconi company was established in 1897 and began communication between coast radio stations and ships at sea. This company, along with its subsidiaries Canadian Marconi and American Marconi, had a stranglehold on ship-to-shore communication. It operated much the way American Telephone and Telegraph operated until 1983, owning all of its equipment and refusing to communicate with non-Marconi equipped ships. In June 1912, after the RMS Titanic disaster, due to increased production Marconi opened the world's first purpose-built radio factory at New Street Works in Chelmsford, and in 1932 the Marconi Research Laboratory. Many inventions improved the quality of radio, and amateurs experimented with uses of radio, thus planting the first seeds of broadcasting. The company Telefunken was founded on May 27, 1903, as "Telefunken society for wireless telefon" of Siemens & Halske (S & H) and the Allgemeine Elektrizitäts-Gesellschaft (General Electricity Company) as joint undertakings for radio engineering in Berlin. It continued as a joint venture of AEG and Siemens AG, until Siemens left in 1941. In 1911, Kaiser Wilhelm II sent Telefunken engineers to West Sayville, New York to erect three 600-foot (180-m) radio towers there. Nikola Tesla assisted in the construction. A similar station was erected in Nauen, creating the only wireless communication between North America and Europe. The invention of amplitude-modulated (AM) radio, so that more than one station can send signals (as opposed to spark-gap radio, where one transmitter covers the entire bandwidth of the spectrum) is attributed to Reginald Fessenden and Lee de Forest. On Christmas Eve 1906, Reginald Fessenden used an Alexanderson alternator and rotary spark-gap transmitter to make the first radio audio broadcast, from Brant Rock, Massachusetts. Ships at sea heard a broadcast that included Fessenden playing O Holy Night on the violin and reading a passage from the Bible. In 1909, Marconi and Karl Ferdinand Braun were awarded the Nobel Prize in Physics for "contributions to the development of wireless telegraphy". In April 1909 Charles David Herrold, an electronics instructor in San Jose, California constructed a broadcasting station. It used spark gap technology, but modulated the carrier frequency with the human voice, and later music. The station "San Jose Calling" (there were no call letters), continued to eventually become today's KCBS in San Francisco. Herrold, the son of a Santa Clara Valley farmer, coined the terms "narrowcasting" and "broadcasting", respectively to identify transmissions destined for a single receiver such as that on board a ship, and those transmissions destined for a general audience. (The term "broadcasting" had been used in farming to define the tossing of seed in all directions.) Charles Herrold did not claim to be the first to transmit the human voice, but he claimed to be the first to conduct "broadcasting". To help the radio signal to spread in all directions, he designed some omnidirectional antennas, which he mounted on the rooftops of various buildings in San Jose. Herrold also claims to be the first broadcaster to accept advertising (he exchanged publicity for a local record store for records to play on his station), though this dubious honour usually is foisted on WEAF (1922). In 1912, the RMS Titanic sank in the northern Atlantic Ocean. After this, wireless telegraphy using spark-gap transmitters quickly became universal on large ships. In 1913, the International Convention for the Safety of Life at Sea was convened and produced a treaty requiring shipboard radio stations to be manned 24 hours a day. A typical high-power spark gap was a rotating commutator with six to twelve contacts per wheel, nine inches (229 mm) to a foot wide, driven by about 2,000 volts DC. As the gaps made and broke contact, the radio wave was audible as a tone in a magnetic detector at a remote location. The telegraph key often directly made and broke the 2,000 volt supply. One side of the spark gap was directly connected to the antenna. Receivers with thermionic valves became commonplace before spark-gap transmitters were replaced by continuous wave transmitters. On March 8, 1916, Harold Power with his radio company American Radio and Research Company (AMRAD), broadcast the first continuous broadcast in the world from Tufts University under the call sign 1XE (it lasted 3 hours). The company later became the first to broadcast on a daily schedule, and the first to broadcast radio dance programs, university professor lectures, the weather, and bedtime stories. Inventor Edwin Howard Armstrong is credited with developing many of the features of radio as it is known today. Armstrong patented three important inventions that made today's radio possible. Regeneration, the superheterodyne circuit and wide-band frequency modulation or FM. Regeneration or the use of positive feedback greatly increased the amplitude of received radio signals to the point where they could be heard without headphones. The superhet simplified radio receivers by doing away with the need for several tuning controls. It made radios more sensitive and selective as well. FM gave listeners a static-free experience with better sound quality and fidelity than AM. In early radio, and to a limited extent much later, the transmission signal of the radio station was specified in meters, referring to the wavelength, the length of the radio wave. This is the origin of the terms long wave, medium wave, and short wave radio. Portions of the radio spectrum reserved for specific purposes were often referred to by wavelength: the 40-meter band, used for amateur radio, for example. The relation between wavelength and frequency is reciprocal: the higher the frequency, the shorter the wave, and vice versa. In the 1920s, the United States government publication, "Construction and Operation of a Simple Homemade Radio Receiving Outfit", showed how almost any person handy with simple tools could a build an effective crystal radio receiver. The most common type of receiver before vacuum tubes was the crystal set, although some early radios used some type of amplification through electric current or battery. Inventions of the triode amplifier, motor-generator, and detector enabled audio radio. The use of amplitude modulation (AM), with which more than one station can simultaneously send signals (as opposed to spark-gap radio, where one transmitter covers the entire bandwidth of spectra) was pioneered by Fessenden and Lee de Forest. The art and science of crystal sets is still pursued as a hobby in the form of simple un-amplified radios that 'runs on nothing, forever'. They are used as a teaching tool by groups such as the Boy Scouts of America to introduce youngsters to electronics and radio. As the only energy available is that gathered by the antenna system, loudness is necessarily limited. During the mid-1920s, amplifying vacuum tubes (or thermionic valves in the UK) revolutionized radio receivers and transmitters. John Ambrose Fleming developed a vacuum tube diode. Lee de Forest placed a screen, added a "grid" electrode, creating the triode. The Dutch company Nederlandsche Radio-Industrie and its owner engineer, Hanso Idzerda, made the first regular wireless broadcast for entertainment from its workshop in The Hague on 6 November 1919. The company manufactured both transmitters and receivers. Its popular program was broadcast four nights per week on AM 670 metres, until 1924 when the company ran into financial troubles. On 27 August 1920, regular wireless broadcasts for entertainment began in Argentina, pioneered by Enrique Telémaco Susini and his associates, and spark gap telegraphy stopped. On 31 August 1920 the first known radio news program was broadcast by station 8MK, the unlicensed predecessor of WWJ (AM) in Detroit, Michigan. In 1922 regular wireless broadcasts for entertainment began in the UK from the Marconi Research Centre 2MT at Writtle near Chelmsford, England. Early radios ran the entire power of the transmitter through a carbon microphone. In the 1920s, the Westinghouse company bought Lee de Forest's and Edwin Armstrong's patent. During the mid-1920s, Amplifying vacuum tubes (US)/thermionic valves (UK) revolutionized radio receivers and transmitters. Westinghouse engineers developed a more modern vacuum tube. Under the Radio Act of 1912, licensing was the authority of the United States Department of Commerce and Labor (after 1913, the Department of Commerce). There is no known comprehensive record of the stations licensed under this act. The department had no authority to withhold a license from anyone who requested one, and did not regulate frequencies or power. Beginning in 1926, the Federal Radio Commission regulated radio use in the United States. The Radio Act of 1927 gave the Federal Radio Commission the power to grant and deny licenses, and to assign frequencies and power levels for each licensee. In 1928 it began requiring licenses of existing stations and setting controls on who could broadcast from where on what frequency and at what power. Some stations could not obtain a license and ceased operations. There was no control of the content being broadcast. The Communications Act of 1934 abolished the Federal Radio Commission and replaced it with the Federal Communications Commission, giving it authority over broadcast television, then the subject of experiments, and the new radio networks (and famously contributing to the breakup of the NBC Network for anti-trust reasons). It is commonly attributed to KDKA in Pittsburgh, Pennsylvania, which in October 1920 received its license and went on the air as the first US licensed commercial broadcasting station on November 2, 1920 with the presidential election results as its inaugural show, but was not broadcasting daily until 1921. (Their engineer Frank Conrad had been broadcasting from on the two call sign signals of 8XK and 8YK since 1916.) Technically, KDKA was the first of several already-extant stations to receive a 'limited commercial' license. On February 17, 1919, station 9XM at the University of Wisconsin in Madison broadcast human speech to the public at large. 9XM was first experimentally licensed in 1914, began regular Morse code transmissions in 1916, and its first music broadcast in 1917. Regularly scheduled broadcasts of voice and music began in January 1921. That station is still on the air today as WHA. On August 20, 1920 8MK, began broadcasting daily and was later claimed by famed inventor Lee De Forest as the first commercial station. 8MK was licensed to a teenager, Michael DeLisle Lyons, and financed by E. W. Scripps. In 1921 8MK changed to WBL and then to WWJ in 1922, in Detroit. It has carried a regular schedule of programming to the present and also broadcast the 1920 presidential election returns just as KDKA did. Inventor Lee DeForest claims to have been present during 8MK's earliest broadcasts, since the station was using a transmitter sold by his company. The first station to receive a commercial license was WBZ, then in Springfield, Massachusetts. Lists provided to the Boston Globe by the U.S. Department of Commerce showed that WBZ received its commercial license on 15 September 1921; another Westinghouse station, WJZ, then in Newark, New Jersey, received its commercial license on November 7, the same day as KDKA did. What separates WJZ and WBZ from KDKA is the fact that neither of the former stations remain in their original city of license, whereas KDKA has remained in Pittsburgh for its entire existence. 2XG: Launched by Lee De Forest in the Highbridge section of New York City, that station began daily broadcasts in 1916. Like most experimental radio stations, however, it had to go off the air when the U.S. entered World War I in 1917, and did not return to the air. 1XE: Launched by Harold J. Power in Medford, Massachusetts, 1XE was an experimental station that started broadcasting in 1917. It had to go off the air during World War I, but started up again after the war, and began regular voice and music broadcasts in 1919. However, the station did not receive its commercial license, becoming WGI, until 1922. WHA (AM), located at the University of Wisconsin–Madison, Madison, Wisconsin; was launched as 9XM. Broadcasting was not yet supported by advertising or listener sponsorship. The stations owned by manufacturers and department stores were established to sell radios and those owned by newspapers to sell newspapers and express the opinions of the owners. In the 1920s, radio was first used to transmit pictures visible as television. During the early 1930s, single sideband (SSB) and frequency modulation (FM) were invented by amateur radio operators. By 1940, they were established commercial modes. Westinghouse was brought into the patent allies group, which included General Electric, American Telephone and Telegraph, and Radio Corporation of America, and became a part owner of RCA. All radios manufactured by GE and Westinghouse were sold under the RCA name, 60% GE and 40% Westinghouse. ATT's Western Electric would build radio transmitters. The patent allies attempted to set up a monopoly, but they failed due to successful competition. Much to the dismay of the patent allies, several of the contracts for inventor's patents held clauses protecting "amateurs" and allowing them to use the patents. Whether the competing manufacturers were really amateurs was ignored by these competitors. In 1933, FM radio was patented by inventor Edwin H. Armstrong. FM uses frequency modulation of the radio wave to reduce static and interference from electrical equipment and the atmosphere. In 1937, W1XOJ, the first experimental FM radio station, was granted a construction permit by the US Federal Communications Commission (FCC). In the 1930s, regular analog television broadcasting began in some parts of Europe and North America. By the end of the decade there were roughly 25,000 all-electronic television receivers in existence worldwide, the majority of them in the UK. In the US, Armstrong's FM system was designated by the FCC to transmit and receive television sound. After World War II, FM radio broadcasting was introduced in Germany. At a meeting in Copenhagen in 1948, a new wavelength plan was set up for Europe. Because of the recent war, Germany (which did not exist as a state and so was not invited) was only given a small number of medium-wave frequencies, which were not very good for broadcasting. For this reason Germany began broadcasting on UKW ("Ultrakurzwelle", i.e. ultra short wave, nowadays called VHF) which was not covered by the Copenhagen plan. After some amplitude modulation experience with VHF, it was realized that FM radio was a much better alternative for VHF radio than AM. Because of this history FM Radio is still referred to as "UKW Radio" in Germany. Other European nations followed a bit later, when the superior sound quality of FM and the ability to run many more local stations because of the more limited range of VHF broadcasts were realized. In 1954 Regency introduced a pocket transistor radio, the TR-1, powered by a "standard 22.5V Battery". In 1960 Sony introduced their first transistorized radio, small enough to fit in a vest pocket, and able to be powered by a small battery. It was durable, because there were no tubes to burn out. Over the next twenty years, transistors displaced tubes almost completely except for picture tubes and very high power or very high frequency uses. In the early 1960s, VOR systems finally became widespread for aircraft navigation; before that, aircraft used commercial AM radio stations for navigation. (AM stations are still marked on U.S. aviation charts). 1962: Telstar 1, the first communications satellite, relayed the first publicly available live transatlantic television signal. Late 1960s: The US long-distance telephone network began to convert to a digital network, employing digital radios for many of its links. 1970s: LORAN became the premier radio navigation system. Soon, the US Navy experimented with satellite navigation. Early 1990s: Amateur radio experimenters began to use personal computers with audio cards to process radio signals. 1994: The US Army and DARPA launched an aggressive successful project to construct a software radio that could become a different radio on the fly by changing software. Telegraphy did not go away on radio. Instead, the degree of automation increased. On land-lines in the 1930s, teletypewriters automated encoding, and were adapted to pulse-code dialing to automate routing, a service called telex. For thirty years, telex was the cheapest form of long-distance communication, because up to 25 telex channels could occupy the same bandwidth as one voice channel. For business and government, it was an advantage that telex directly produced written documents. Telex systems were adapted to short-wave radio by sending tones over single sideband. CCITT R.44 (the most advanced pure-telex standard) incorporated character-level error detection and retransmission as well as automated encoding and routing. For many years, telex-on-radio (TOR) was the only reliable way to reach some third-world countries. TOR remains reliable, though less-expensive forms of e-mail are displacing it. Many national telecom companies historically ran nearly pure telex networks for their governments, and they ran many of these links over short wave radio. Documents including maps and photographs went by radiofax, or wireless photoradiogram, invented in 1924 by Richard H. Ranger of Radio Corporation of America (RCA). This method prospered in the mid-20th century and faded late in the century. In 1947 AT&T commercialized the Mobile Telephone Service. From its start in St. Louis in 1946, AT&T then introduced Mobile Telephone Service to one hundred towns and highway corridors by 1948. Mobile Telephone Service was a rarity with only 5,000 customers placing about 30,000 calls each week. Because only three radio channels were available, only three customers in any given city could make mobile telephone calls at one time. Mobile Telephone Service was expensive, costing US$15 per month, plus $0.30–0.40 per local call, equivalent to (in 2012 US dollars) about $176 per month and $3.50–4.75 per call. The Advanced Mobile Phone System analog mobile cell phone system, developed by Bell Labs, was introduced in the Americas in 1978, gave much more capacity. It was the primary analog mobile phone system in North America (and other locales) through the 1980s and into the 2000s. When radio was introduced in the early 1920s, many predicted it would kill the phonograph record industry. Radio was a free medium for the public to hear music for which they would normally pay. While some companies saw radio as a new avenue for promotion, others feared it would cut into profits from record sales and live performances. Many record companies would not license their records to be played over the radio, and had their major stars sign agreements that they would not perform on radio broadcasts. Indeed, the music recording industry had a severe drop in profits after the introduction of the radio. For a while, it appeared as though radio was a definite threat to the record industry. Radio ownership grew from two out of five homes in 1931 to four out of five homes in 1938. Meanwhile, record sales fell from $75 million in 1929 to $26 million in 1938 (with a low point of $5 million in 1933), though the economics of the situation were also affected by the Great Depression. The test case was against Bamberger's Department Store in Newark, New Jersey in 1922. The store was broadcasting music throughout its store on the radio station WOR. No advertisements were heard, except at the beginning of the broadcast which announced "L. Bamberger and Co., One of America's Great Stores, Newark, New Jersey." It was determined through this and previous cases (such as the lawsuit against Shanley's Restaurant) that Bamberger was using the songs for commercial gain, thus making it a public performance for profit, which meant the copyright owners were due payment. With this ruling the American Society of Composers, Authors and Publishers (ASCAP) began collecting licensing fees from radio stations in 1923. The beginning sum was $250 for all music protected under ASCAP, but for larger stations the price soon ballooned to $5,000. Edward Samuels reports in his book The Illustrated Story of Copyright that "radio and TV licensing represents the single greatest source of revenue for ASCAP and its composers […] and [a]n average member of ASCAP gets about $150–$200 per work per year, or about $5,000-$6,000 for all of a member's compositions." Not long after the Bamberger ruling, ASCAP had to once again defend their right to charge fees, in 1924. The Dill Radio Bill would have allowed radio stations to play music without paying and licensing fees to ASCAP or any other music-licensing corporations. The bill did not pass. ^ a b "James Clerk Maxwell (1831-1879)". (sparkmuseum.com). ^ a b Ralph Baierlein (1992). Newton to Einstein: The Trail of Light. Cambridge University Press. Retrieved 3 February 2018. ^ "Section 22: Word Origins". earlyradiohistory.us. ^ Thomas H. White (1 November 2012). "Nikola Tesla: The Guy Who DIDN'T 'Invent Radio'". earlyradiohistory.us. ^ Bishop, Don. "Who Invented Radio?". Retrieved 2006-02-24. ^ Rybak, James P. "Alexander Popov: Russia's Radio Pioneer". Archived from the original on April 12, 2014. ^ a b c d John W. Klooster. Icons of Invention: the Makers of the Modern World from Gutenberg to Gates. ABC-CLIO. Retrieved 3 February 2018. ^ "Magnetic Fields and Maxwell Revisited". lumenlearning.com. ^ "Hertizian Waves", Amateur Work, November 1901, pages 4–6. ^ Brian Regal (2005). Radio: The Life Story of a Technology. Greenwood Publishing Group. p. 22. Retrieved 3 February 2018. ^ Mukherji, Visvapriya, Jagadish Chandra Bose, 2nd ed. 1994. Builders of Modern India series, Publications Division, Ministry of Information and Broadcasting, Government of India. ISBN 81-230-0047-2. ^ Lodovico Gualandi. "Marconi e lo Stravolgimento della Verità Storica Sulla Sua Opera". radiomarconi.com. ^ "Wireless Telegraphy" by G. Marconi (discussion), Proceedings of the Institution of Electrical Engineers, (volume 28, March 2, 1899), page 294. ^ "Nobel Prizes and Laureates - Guglielmo Marconi". NobelPrize.org. Retrieved 3 February 2018. ^ Highfields Amateur Radio Club. "Father Roberto Landell de Moura. 1861-1928". highfields-arc.co.uk. Archived from the original on July 24, 2013. ^ a b c Rowan Wakefield (February 1959). "Radio Broadcasting at Union College". W2UC.union.edu. Archived from the original on May 15, 2008. Retrieved 2009-07-22. ^ "From a Shed to the World Wide Web". Union College Magazine. 1 November 1995. Retrieved 2018-02-03. ^ Sciullo Jr, Sam, ed. (1991). 1991 Pitt Football: University of Pittsburgh Football Media Guide. Pittsburgh, PA: University of Pittsburgh Sports Information Office. p. 116. ^ a b "1946: First Mobile Telephone Call". corp.att.com. AT&T Intellectual Property. 2011. Retrieved 2012-04-24. ^ a b AT&T Tech Channel (2011-06-13). "AT&T Archives: Testing the First Public Cell Phone Network". Techchannel.att.com. Retrieved 2013-09-28. ^ a b Private Line: Daily Notes Archive (October 2003) by Tom Farley Archived 2012-06-10 at the Wayback Machine. ^ "Transistor Radios". ScienCentral (pbs.org). 1999. Retrieved 2018-02-03. ^ "El español Julio Cervera Baviera, y no Marconi, fue quien inventó la radio, según el profesor Ángel Faus". Universidad de Navarra (unav.es). 2005. ^ "Un estudio asegura que fue el español Cervera Baviera y no Marconi el inventor de la radio". El Mundo (elmundo.es). 19 October 2005. ^ "The Spaniard Julio Cervera Baviera, and not Marconi, was the Inventor of the radio, according to professor Ángel Faus". Universidad de Navarra (unav.es). 26 October 2005. Archived from the original on February 11, 2012. ^ Wireless Telegraphy and Telephony by Domenico Mazzotto (translated from the Italian by Selimo Romeo Bottone) (Whittaker & Co., 1906), page 217. ^ "Radio's Anniversary," Boston Globe, 30 September 1928, p. B27. ^ "Highbridge Station Reports (1917)". earlyradiohistory.us. ^ Donna L. Halper (2001-01-02). "The Rise and Fall of WGI". The Boston Radio Archives (bostonradio.org). ^ Callie Taintor (27 May 2004). "Chronology: Technology And The Music Industry". Frontline: The Way the Music Died (Inside the Music Industry) (PBS.org). ^ Edward Samuels (April 19, 2002). "Creativity Wants to be Paid". edwardsamuels.com. ^ "Music and Sound Recordings (chapter two)". The Illustrated Story of Copyright (edwardsamuels.com). 2002. Belrose, John S., "Fessenden and Marconi: Their Differing Technologies and Transatlantic Experiments During the First Decade of this Century". International Conference on 100 Years of Radio (5–7 September 1995). Butler, Lloyd (VK5BR), "Before Valve Amplification - Wireless Communication of an Early Era"
Journal of the Franklin Institute. "Notes and comments; Telegraphy without wires", Journal of the Franklin Institute, December 1897, pages 463-464. Katz, Randy H., "Look Ma, No Wires": Marconi and the Invention of Radio". History of Communications Infrastructures. McNicol, Donald. "The Early Days of Radio in America". The Electrical Experimenter, April 1917, pages 893, 911. Pimsleur, J. L. "Invention of Radio Celebrated in S.F. ; 100th birthday exhibit this weekend ". San Francisco Chronicle, 1995. Rubin, Julian "Guglielmo Marconi: The Invention of Radio". January 2006. Stone, John Stone. "John Stone Stone on Nikola Tesla's Priority in Radio and Continuous-Wave Radiofrequency Apparatus". Twenty First Century Books, 2005. White, Thomas H. "Pioneering U.S. Radio Activities (1897-1917)", United States Early Radio History. Wunsch, A. David "Misreading the Supreme Court: A Puzzling Chapter in the History of Radio" Mercurians.org. Wikimedia Commons has media related to Antique radios. "A Comparison of the Tesla and Marconi Low-Frequency Wireless Systems ". Twenty First Century Books, Breckenridge, Co.
"Presentation of the Edison Medal to Nikola Tesla". Minutes of the Annual Meeting of the American Institute of Electrical Engineers. Held at the Engineering Society Building, New York City, Friday evening, May 18, 1917. Timeline of the First Thirty Years of Radio 1895 – 1925; An important chapter in the Death of Distance. Nova Scotia, Canada, March 14, 2006. Western Historic Radio Museum: Radio Communication Equipment from 1909 to 1959.